As one of the highest powered hunting rifles on the market, the 30-06, invented in 1906, is one of the best and most popular rifles out there. 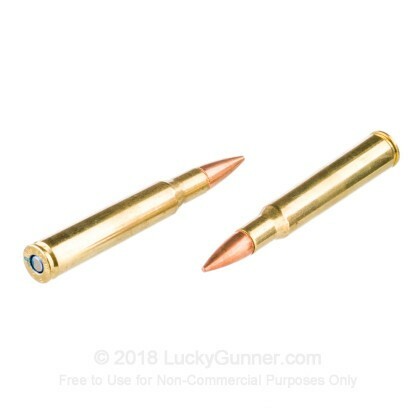 With its high power, incredible range, and superb efficacy, you have a round that is capable of even bear and moose hunting. 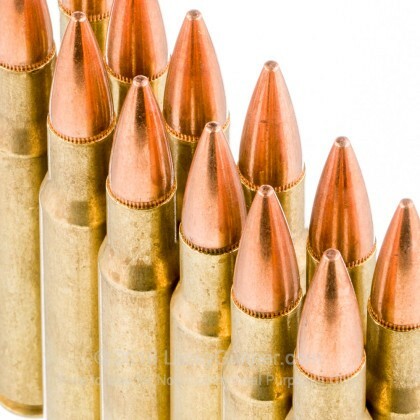 Proven through years of military and civilian use, this round won't let you down. 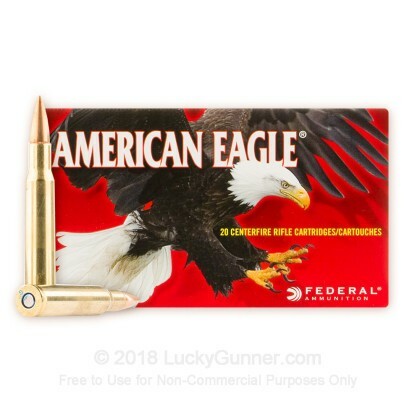 Federal has been around since the beginning of the 1900's, and with their long years of manufacturing, they have become one of the most popular and highest quality manufacturers on the market. 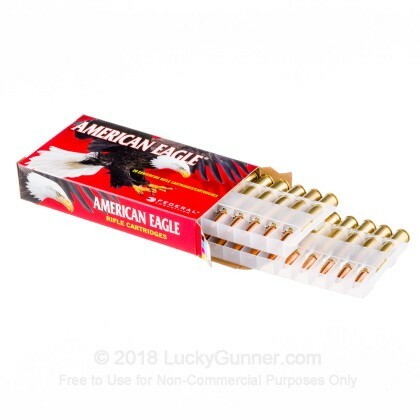 With the high quality and low price of these Federal American Eagle, full metal jacket boat tail rounds, you are in for some amazing range training. 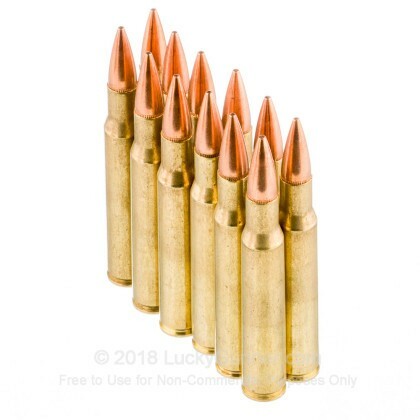 The boat tail bullet design increases the accuracy and flattens the trajectory, making this round fantastic for sighting in your rifle, or eliminating all possibility for error except for your own when developing your shooting skills. 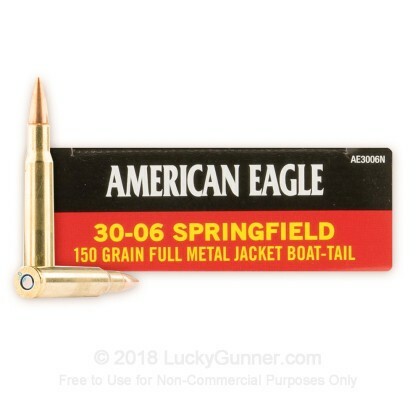 We also have this 30-06 - 150 Grain FMJ-BT - Federal American Eagle - 20 Rounds ammo in stock in a smaller quantity.